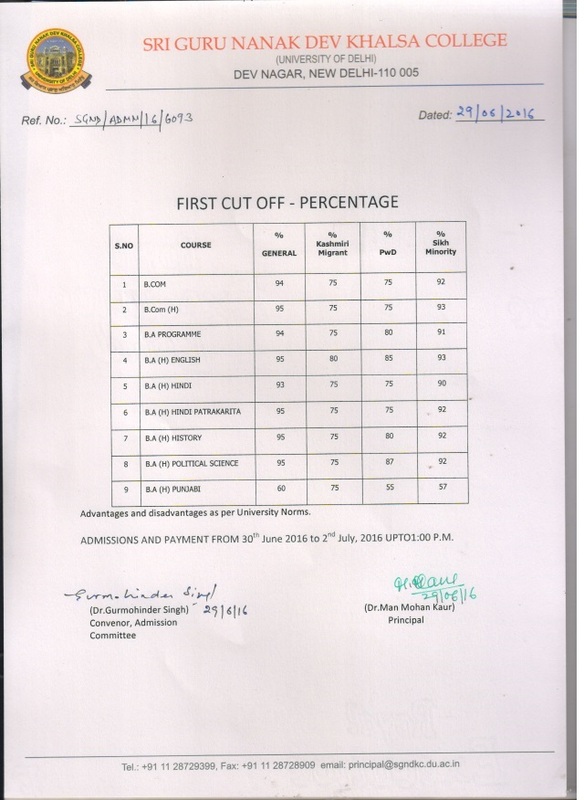 All applicants to the specified courses, who are eligible according to the cut off marks given above, must contact the concerned college on June 30, July 01 & July 02 of 2016 between 9:00 a.m. and 1:00 p.m. along with their original documents and Photostat copies etc., failing which their eligibility for admission will stand automatically cancelled, and they will not be considered for admission after 02 June 2016. You may take a look at the list of important documents to carry for admissions here. We wish you all the best for the admission process!